The PKI 9870 is the No. 1 around the world in performance and reliability of detectors for location of the magnetic field of iron and steel objects and energised power lines. It has an easy to read digital and bar graph display for signal strength and polarity and provides audio detection signals that peak in frequency when the locator’s tip is held directly over the target. Designed for one-hand operations, the ON/OFF/SENSITIVITY and VOLUME controls are located on the underside of the cover. This provides easy access, protects the knobs and contributes to their overall ruggedness and dependability. 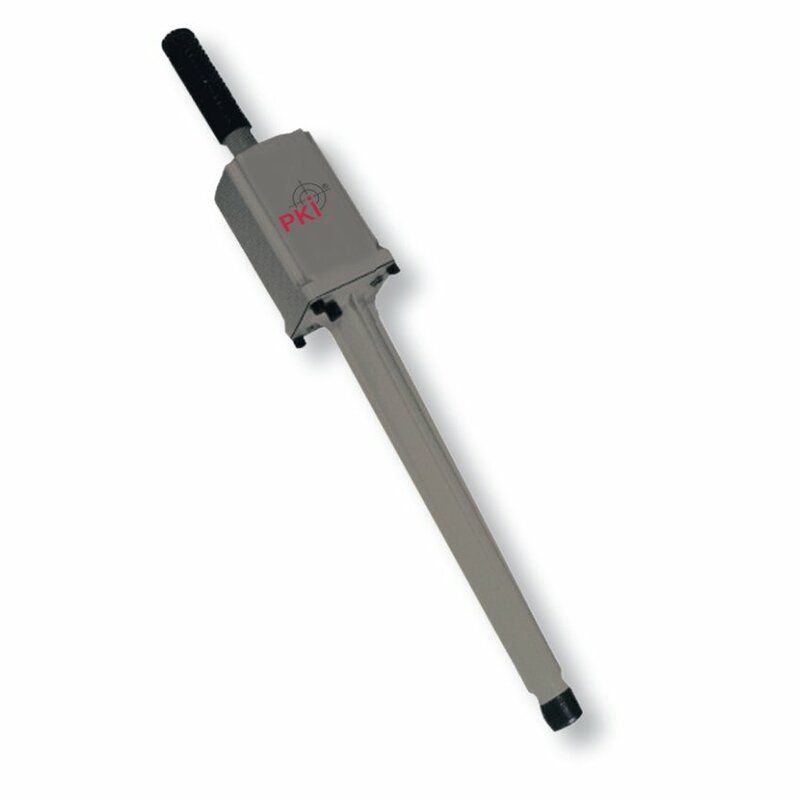 Once a target is located by using the audio signal, the digital readout and polarity indicator will help to visually pinpoint it and to determine its orientation, whether the pipes are vertical or horizontal. Audio mode choice of two modes: “Mode B” – audio signal always present, “Mode A” – audio signal is only present when locator is within detection range of a target.